Driving by New Entry's Ogonowski Memorial Fields Incubator Farm Site in Dracut, MA, you will see Jennifer Hauf tending to her unique quarter-acre plot next to the greenhouse. Her parcel of land is colorfully filled with medicinal herbs and flowers that often attract monarch butterflies, beneficial insects, and curious people! Jenny graduated from New Entry's Farm Business Planning Course in Spring 2015 and is in her first growing season at our incubator site. Her farm, Muddy River Herbals, focuses on herbs and flowers that have medicinal properties, such as lavender, tulsi, comfrey, and calendula to name a few. The herbs and flowers that Jenny grows can be enjoyed without processing or can be used for teas and salves. Her passion for plants has evolved over a long journey starting out as a trainee on other farms years ago, to now spending her days as a horticulture manager at a landscaping company by day and tending to her crops in the afternoons for Muddy River Herbals. 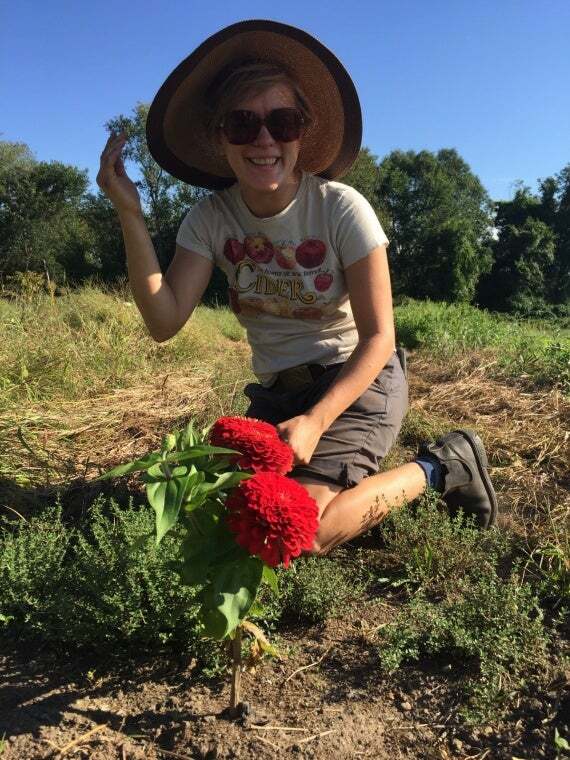 Jenny's successful crop yield has allowed Muddy River Herbals to offer its own herbal CSA shares to customers. The bi-weekly shares are accompanied with a newsletter that has tips, recipes, and benefits received from the herbals and flowers. CSA shares are provided in multiple sizes for people that are experienced with herbals to people who have a new found interest. Some of Jenny's herbs, like lavender, are cold-hearty and will survive through the winter for next season. In the future, she plans for more ornamental flowers and intends to create medicinal products to sell along with the flowers and herbs in her CSA shares. Muddy River Herbals is off to a great start! Through ongoing business support and with the help of New Entry's Farmland Matching Program, Jenny plans to continue farming in the Boston area after her time at our incubator site.